Doug became the NNSA President & Chairman in June 2017. Doug worked for the Naval Nuclear Propulsion Program from 1970 to 2012, retiring in 2012 after has 42 years of service. For the past 5 years he has focused on consulting for decommissioning activities with both the Navy and commercial facilities. From 1995 to 2008, Doug was the Project Manager for decommissioning and dismantlement organizations at the Kesselring (NY) and Windsor (CT) Sites. During that period, he was responsible for fully dismantling 2 Naval Nuclear Prototypes and partially dismantling a third nuclear prototype. He was also a Project Manager for operating Nuclear Prototype major overhauls at the Kesselring Site. Doug held a variety of management positions over the years. These included power plant engineering, nuclear prototype construction and testing, quality assurance, and refueling and defueling projects. 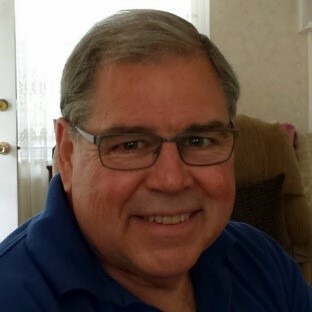 Doug graduated from SUNY Maritime College (1970) with a BS Marine Nuclear Science, a Third Assistant Engineer License and a commission in the US Navy. Doug retired from the Naval reserve in 1981 and earned a MBA from Rensselaer Polytechnic Institute (1983). Doug is a Lifetime American Nuclear Society member. He has held the position of Program Chair for DD&R Division 2011 to 2013, and has chaired DD&R and DESD panel sessions at annual ANS meetings. Doug was DESD Treasurer for 2016-2017 and is currently the DESD Secretary for 2017 – 2018 term. Doug lives with his wife Theresa in Saratoga Springs, NY and they have 2 daughters and 2 grandsons. Jim is an active nuclear engineer where he works in the area of advanced instrumentation and control. His current assignments have focused on the design and application of shipboard control systems. He was part of the machinery control system commissioning team aboard the USS Makin Island (LHD8), the US Navy's first Hybrid-drive (gas turbine/induction electric motor) ship, and has been part of the development team for the machinery control system of the USS Gerald Ford. Over the course of his career, he has taught over 20 college-level courses in a variety of engineering disciplines. Recently, as a part-time instructor for the USMMA, he developed a systems-level graduate mechanical engineering course, Commercial Marine-Nuclear Propulsion, providing mechanical and electrical engineers an understanding of reactor plant dynamics via the modeling of the N.S. Savannah's reactor plant. While at Bechtel in Pittsburgh, PA, his duties related to the monitoring and control nuclear plant systems and components, and was an instructor at the Reactor Engineering School. Jim has a M.S. and Ph.D. in mechanical and nuclear engineering from Pennsylvania State University, a M.S. in electrical engineering from the University of Idaho, and a B.E. in marine engineering from the S.U.N.Y. Maritime College at Fort Schuyler. He also holds a U.S.C.G. 3rd Assistant Engineer's license, and is a Registered Professional Engineer in Pennsylvania. A sailor and one who led the fight to save the SS UNITED STATES; Bill will be working on organizational improvements and operations for the Association. After his Savannah days, Larry worked for Public Service Electric and Gas of New Jersey and helped with the design of the Salem and Hope Creek plants. He also worked on their offshore power plant project in Jacksonville, Florida. During his time with Public Service, he attended NYU part time and obtained a degree in Nuclear Engineering. Despite that, he has worked as a mechanical engineer throughout his career. Larry worked for NUS Corporation for 18 years, and has been with Bechtel Power in Frederick, Maryland since 2000. Now, after 40 years, he is again involved with a Babcock & Wilcox small PWR, working on the design of the mPower small modular reactor plant. He lives in Gaithersburg, MD with his wife, Ana. They have three sons, John, Edward, and Victor, and four grandchildren. Joe is a 1959 graduate from the U.S. Merchant Marine Academy (Kings Point, NY). Following graduation, he reported to the USS KLEINSMITH, the first of three ships he served on as Engineer Officer during a 2½ year active duty career. Following his discharge, Joe was hired by the U.S. Maritime Administration (MARAD) as a marine engineer in the Office of Ship Construction. He was introduced to the N.S. Savannah in 1963 when MARAD decided to train its own staff to operate the ship in the event of future conflicts that could jeopardize the ship´s mission. After training at Kings Point and on the ship in Galveston, TX, Joe was licensed by the Coast Guard as a Reactor Operator and returned to MARAD. In 1964, he sailed on the N.S. Savannah during its scheduled voyage to Scandinavia and continued training for a Senior Reactor Operator license. In 1966, Joe joined MARAD´s Office of Research & Development where he served for 22 years managing a myriad of programs including Oil Pollution Control, Merchant Ship Automation, LNG Technology, and Electronic Data Interchange. In 1988, he transferred to the Office of Ship Operations to manage the Ready Reserve Force maintenance program. He was subsequently appointed Deputy Director of MARAD´s Office of Ship Operations, a position where he chaired the N.S. Savannah Review & Audit Committee. Joe retired in 2004 and now lives in Southport, NC with his wife Barbara. Manager and Principal Investigator for the Center for the Commercial Deployment of Transportation Technologies. The CCDoTT is a California State University, Long Beach sponsored, government approved and supported R&D center dealing with maritime-related transportation issues on behalf of both commercial and military interests. Will Davis is a self-employed consultant and author in fields relating to nuclear energy. 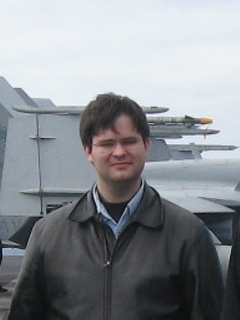 He writes technical, historical and current event-related material for the American Nuclear Society's blog. Will also has been a regular author under contract to International Nuclear Associates, Inc. who publishes the newsletter 'Fuel Cycle Week' and which focuses solely on business aspects of the entire fuel cycle and nuclear energy. As a Communications Committee member of the ANS, as well as Chair of that committee's Social Media Subcommittee, Will is presently working intimately with several task groups inside the American Nuclear Society which are integral with the refocusing and rebranding of the ANS. Central to this effort is a repositioning of the ANS' Social Media strategy. He has consulted ANS contractually since September 2012 on its outreach and communications. Will has served on the Board of Directors of PopAtomic Studios since December 2012 and was elected Secretary of that board in June, 2014. This board functions to support, channel and advise the Executive Director's singularly successful and highly popular outreach combining art and education with clear, simple facts and materials. Reaching new eyes and ears is a key success of this 501(c)3 corporation's effort through its popular (and industry-funded) Nuclear Literacy Project. Hayden has been interested in the N/S Savannah since reading a copy of the Safety Analysis Report that one of his fellow students rescued from the refuse bin of the Purdue University Nuclear Engineering Department. He's been actively assisting with outreach activities on the Savannah since first visiting the ship with the American Nuclear Society DC Local Section in 2009, and regularly provides tours on the ship where he often ends up describing how nuclear reactors work. Hayden has a Bachelor's and Master's degree in Nuclear Engineering from Purdue University and currently works as a nuclear engineer in Washington, DC. He has previously served in Board and Officer roles for several non-profits, including Student Director of the American Nuclear Society from 2005-2006. Senior Engineer, Babcock & Wilcox/Savannah Technical Staff, Industry. Jon was Nuclear Advisor and acting Facility and Site Manager for the N.S. Savannah decommissioning project. He has been involved with the N.S. Savannah in various capacities since 1962 when he helped establish the Galveston, TX service facilities and commissioned the NSV ATOMIC SERVANT (service barge). Jon was licensed on the reactor and assisted in returning the N.S. Savannah to service in 1963-64 managing special maintenance and engineering functions. He joined NUS in 1966 and worked in executive positions for several major nuclear contractors until he formed Mega-Tech Services, Inc. in 1988. He was responsible for managing the radiological characterization of the ship in 2005. He served as Chairman until his death in 2012. Wayne sailed on the N.S. Savannah from 1966-1970. He first encountered the Savannah during its maiden voyage to New York City when he was attending the U.S. Merchant Marine Academy and playing in its band for the arrival ceremonies. Wayne knew at that time that he wanted to sail on the Savannah and thus took the nuclear engineering electives at the Academy. After graduation, he served as deck officer, reactor operator, health physicist, auxiliary plant operator, and water chemist. He made the last voyage on the ship before it was removed from active service. Wayne has been involved with the Savannah ever since either planning for the several reunions on board the ship and at the Merchant Marine Academy, or inspecting the ship while with the U S Nuclear Regulatory Commission. Wayne obtained his Master's Degree in Nuclear Engineering from the Georgia Institute of Technology and from 1971-1980 worked for the U.S. Atomic Energy Commission (now the U.S. Nuclear Regulatory Commission). He was the Manager of Radiation Protection Services for Public Service Electric and Gas of NJ at the Salem and Hope Creek nuclear power plants from 1980 to 1986. He then consulted for several years and returned to the Nuclear Regulatory Commission working there from 1998 until his retirement in 2006. Since that time, he was a consultant and served as the NSSA President and Chairman until his death in 2013. Bob was a member of the last N.S. Savannah reactor operator training class. He wrote his license exam transiting the Panama Canal and did his startup in Hoboken. Bob has a U.S. Coast guard endorsement as a health physics technician and was certified by B&W as a water chemist. He served as a reactor operator during the defueling of the ship in Galveston. Bob graduated from Maine Maritime Academy and received his Master's Degree in Health Physics from The University of Michigan. He was a health physicist and nuclear engineer for the State of Michigan; worked as a Project Manager at the Institute of Nuclear Operations; and retired from the U.S. Nuclear Regulatory Commission in 2011. Bob lives in Gadsden, Alabama with his wife Christie. Bruce started as an HP technician involved with the de-fueling of the reactor on the N.S. Savannah in 1971, Todd Shipyards, Galveston TX. He spent eleven years doing start ups and/or refuelings of various nuclear generating stations and was responsible for all aspects of raiological health and safety. He returned to college and received his Bachelor of Arts from Rowan University in New Jersey in 1991. He then began a career in computer science. Bruce has been Vice President of Menig Consulting, Inc. which he founded with his wife, Susan, in 1999. John Bowen is a Vice President for Mega-Tech Services, LLC, which is located in Mechanicsville, VA and is a supplier of engineering solutions and tooling (tooling used primarily for decommissioning) to the nuclear industry. He has a Bachelor of Science in Engineering Physics from West Virginia Wesleyan College (1982) and a Master of Engineering in Nuclear Engineering from University of Virginia (1983). John is a certified Senior Reactor Operator on a standard Westinghouse pressurized water reactor. He has extensive experience in Operations (including pre-operational and power ascension testing associated with boiling water reactors), Security, and Maintenance in the nuclear industry. John has been involved with projects (scoping characterization, ballast water sampling, etc.) on the NS SAVANNAH since 2004. Mega-Tech Services, LLC provides the license technical support for the NS SAVANNAH. John has been member of the American Nuclear Society (ANS) since 2004 and was a previous member from 1981-2001. He is a past Chair of the Decommissioning Decontamination & Reutilization (DD&R) Division (2011 - 2013) and is currently serving on the Meetings, Proceedings & Transactions Committee of ANS. He has previously worked for WPI, Westinghouse Electric Company and General Electric Company. James P. "Jay" Tarzia is a Principal of Radiation Safety & Control Services, Inc. (RSCS) founded in 1989, which supplies services and products to the nuclear industry and other users of radioactive material. Jay began his career as a Senior Reactor Operator at an experimental research reactor. He later worked as an Auxiliary Operator and Senior Health Physicist at the Seabrook Nuclear Power Plant. Jay was also Health Physics and Chemistry Manager for the Connecticut Yankee Atomic Power Plant during the decommissioning. As a Director and Principal of RSCS, Jay has supported hundreds of radiological and nuclear projects. He has been overseeing the radiological protection activities on board the Savannah since 2007 and supports efforts to protect and preserve the Savannah as a historical showpiece for future generations. Jay received a Bachelor of Science Degree in Radiological Health Physics and a Master of Science Degree in Radiological Sciences and Protection from the University of Massachusetts - Lowell. He earned a Master of Business Administration from New Hampshire College and has Comprehensive Certification from the American Board of Health Physics. Jay is the current Chairman of the New Hampshire State Radiation Advisory Committee and is the 2012 Chairman of the American Board of Health Physics Part I committee. He is also actively involved in many national and international professional societies which support the nuclear industry.